E-commerce eventually developed into an enormous business platform. So many e-shops, sale channels, that it is hard to choose where to sell or buy. Of course, retailers should be interested in working with the most profitable marketplaces. For this reason, we will enlighten you with the list of The most popular online marketplaces 2018.
eBay is one of world’s leading marketplaces, which includes new or used items. 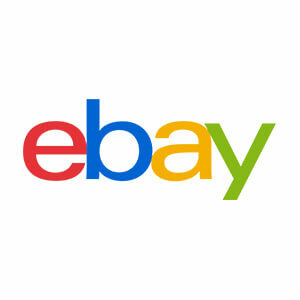 Currently, they have 25 million sellers and 250 million eBay classifieds users. It is an auction place, as well as a retail website. eBay is a multibillion-dollar business with operations in about 30 countries. This is why it is on the top of our list for most popular online marketplaces in 2018. 171 million buyers. eBay has customers from all around the world – over 19 million shoppers are from the UK. Top categories in 2018 are: Necklaces & Pendants (US), Clothing Women Dresses (UK), PC & Console Video games (Germany). Pricing. First 50 listings are free for the most categories. Of course, it includes taxes for each sale – from 3.5% to 10%, depending on a category. eBay also includes subscriber function. Focused on. Automotive, apparel, electronics and collectables. Amazon – it is the largest online retailer in the world, which already have 1.029.528 new sellers this year. Currently, they have 12 marketplaces, that all have 5 million sellers. The number of sellers rapidly increasing every day – 2.975 per day. Amazon sells all type of goods – including books, toys, food, art pieces, electronics and much more. Since 1994. At first, Amazon was an online bookseller, founded by Jeff Bezos. Eventually, an idea to have the biggest bookstore turned into the biggest marketplace. From 2002 they claim themselves also as a technology company. Prime membership. Amazon offers a Prime membership, which provides shoppers with free 2-day shipping. Which additionally creates a reputation for a fast and convenient order fulfillment. $177.9 billion generating in revenue in 2017. Amazon has a huge customer database from 180 countries. Top sales are from these categories – Electronics; Clothing, Shoes & Jewellery; Home & Kitchen; Health & Household. Amazon FBA. Users can store their products in Amazon warehouses and use Amazon shipping. 66% of the top 10,000 sellers use FBA. Focused on. Books, clothes, furniture, electronics, etc. Etsy – one of the most popular online marketplaces 2018 Etsy is for unique and creative goods. Currently, they have 31.7 million active buyers. Additionally, more than 54 million products are placed on Etsy. It allows retailers to communicate with buyers directly, as well as other sellers. Etsy created a community for sellers to connect and organize locally. Since 2005. 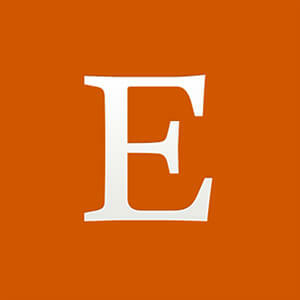 Etsy is an e-commerce website focused on vintage and handmade items and supplies. The site was launched by Robert Kalin, Chris Maguire and Haim Schoppik. Etsy created certain rules for sellers, such as – all vintage items must be at least 20 years old. 25 million shoppers. In 2017 more than 1.93 million sellers sold goods through the Etsy. Top selling categories – Home & Living; Jewellery; Clothing; Craft Supplies & Tools. A commission charged: 3.5 % of every sold item. Also, the listing has an additional fee of 0.20$ per item. Focused on. Unique and handmade items – novelty and vintage, from clothing to toys and art pieces. ManoMano – the most popular marketplace for DIY and gardening supplies. It operates in the UK, France, Belgium, Spain, Italy and Germany. Also, more than 1.6 million products are on their catalogue, out of which 200.000 products only in the UK. About 500 sellers across the countries. In 2017 ManoMano has been confirmed as the largest European marketplace for gardening and home improvement. Since 2013. Launched in France, by Christian Raisson and Philippe de Chanville. Only in 2016 opened a market for the UK. Founders say that the UK exceeded all the expectations. 950.000 customers. It has a worldwide network of more than 2000 vendors. ManoMano ended 2017 year with a global turnover of 250 million euros. ManoMano has no seller fee, but there is a monthly subscription fee of 35 euros to start selling on this marketplace. Also, sale channel claims that all their sellers have a competitive pricing. Focused on. DIY, home improvement and gardening specialists. Manomano offers low prices and high quality. 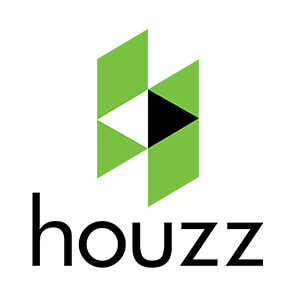 Houzz - is an online community and marketplace for home design. It offers everything from building, remodeling, redecorating to inspiration. More than 20.000 sellers and 25 million monthly visitors on Houzz. This marketplace even has a section dedicated to tips, tricks and advice. Also, on Houzz you can find construction professionals – look through portfolios, read reviews and find contact information. Since 2009. For co-founders Adi Tatarko and Alon Cohen, Houzz is a result of their own remodeling project. Now they claim that their community includes more than 40 million homeowners. Houzz Pro+. Function to provide your business locally, by upgrading Houzz Pro+. It promotes your account, by adding ads, new letter promotion and business headline. 40 million users. Houzz has 60 professional categories, with over 9 million of products. As a home design marketplace, 90% of all Houzz users are homeowners. Also, it has more than 11 million photos, which have been shared over 100.000 times. Focused on. Marketplace for home design - remodeling, creative design construction, building or inspiration. Bonanza- is one of the most popular marketplaces, which sells mostly all kind of products. Such as Clothes, Home & Garden, Health & Beauty – new and pre-owned items. There is over 20 million product catalogue listing. Also, it allows importing features from eBay, Etsy and Amazon listings. Since 2007. Bonanza was founded by Bill Harding and Mark Dorsey. In 2012 it was named “The Best Place to Sell Online”, and in 2016 was voted “Most Recommended Marketplace”. Bonanza came in fifth place in the 2017 Sellers Choice Awards for Online Marketplaces. 25.000 sellers. On their highest plan, Bonanza can help you to reach up to 6.4 million shoppers. Bonanza has a free tier, which neither has a listing nor monthly fees. On the other hand, when you sell an item, you always pay 3.5% fee rate. Focused on. 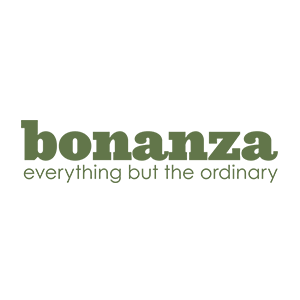 Bonanza’s tagline is “Find everything but the ordinary”. They have categories for mostly all products, from new to pre-owned. Since 2011 Newegg became one of the most popular online marketplaces in 2018. Now it’s main competitors are eBay and Amazon. 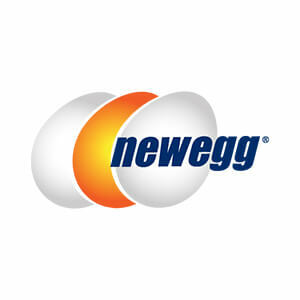 Rapidly growing Newegg popularity brought them more than 30 million customers. They even created Newegg shipping fulfillment service, which is similar to Amazon FBA. It has over 50,000 unique products! Since 2011. In 2001 Newegg was a PC component and electronics retailer, but the marketplace launched only in 2011. Bitcoin payment accepted. Also, Newegg launched a B2B marketplace. They won Internet Retailer 2017 B2B E-Commerce 300, as well as Internet Retailer 2017 Mobile 500. Shipped by Newegg. Store items in Newegg warehouses, and as soon as you receive an order, they will fulfill it. This service can ship 99% of orders within 24 hours after payment is validated. Premier Seller Program launched. With this program, your account gets some benefits: homepage promotions, e-blasts, better seller rating. Focused on. Main focus on computer systems and electronics. Also, Home & Tools, Health & Sports, Apparel & Accessories, Hobbies & Toys. 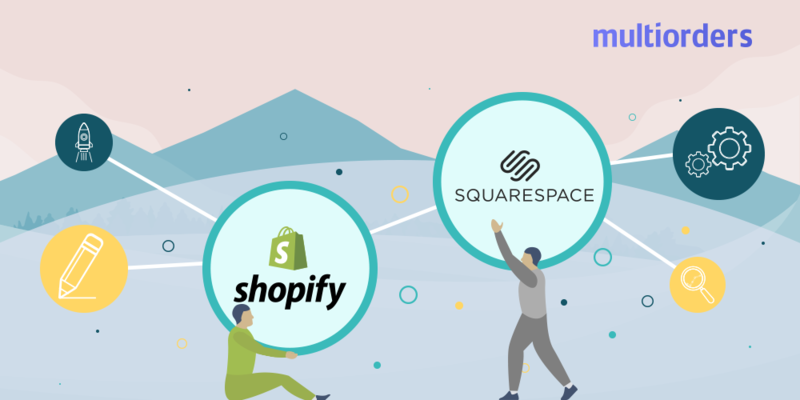 How to choose one of the most popular online marketplaces 2018? Visibility. Imagine this, selling through multiple channels, will make your brand recognisable. 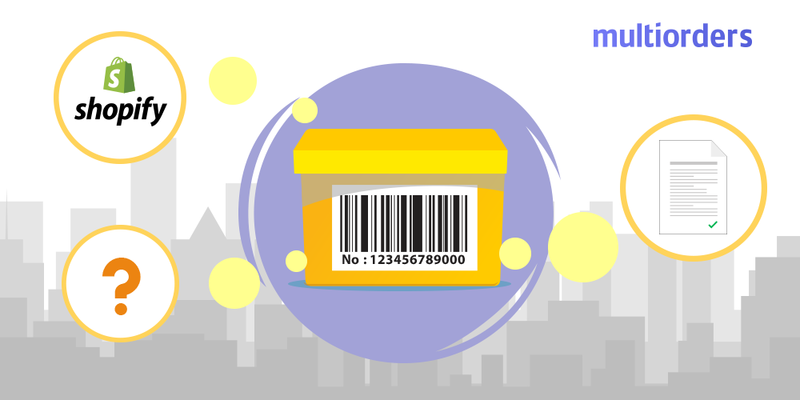 Those customers, who shop in different e-commerce platforms, will start to remember your goods and notice them. Bigger reach. As mentioned before each of these 7 the most popular online marketplaces have a great rate of customers. Working with all sale channels guarantees that your products will reach most of them. It is an efficient way to find new clients and create more orders. Multiple orders. As soon as you improve your reach and visibility, you will get multiple orders. Different marketplaces will bring you, other clients. Moreover, in this way you can reach clients which particularly shops in the exact one e-shop. How to manage multi-channel selling? Imagine this, you successfully registered into each marketplace and start receiving orders. If before you were working with one account, now multiply orders number at least seven times. Not to mention, that in this way you could find the most suitable marketplace for your brand. Despite the fact, that multiple orders sound like a very attractive opportunity, it creates problems. The wholesaler has to predict how he will manage all those orders. The best and the most cost-efficient way is to automate all sale channels and manage them through one place. 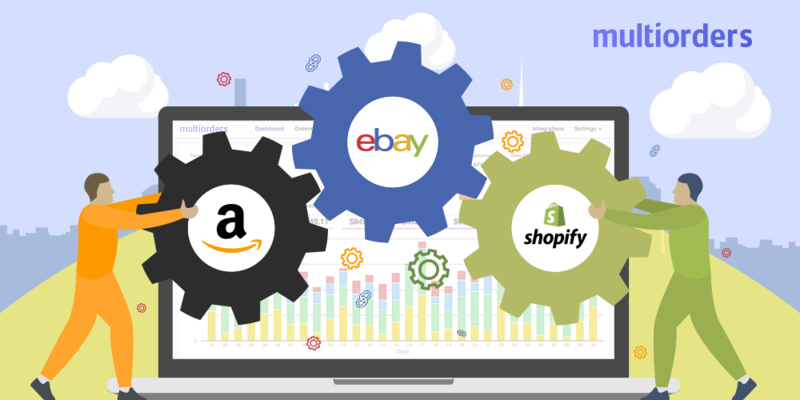 Full inventory controlMultiorders has integrations with all most popular online marketplaces in 2018. Which means, that this order management software allows you to see and control inventory and create shipments for multiple marketplaces, in a fast and reliable way. For example, you can change - price, SKU, description, stock-list and it all instantly shows up in a right marketplace. ShippingFulfilling orders from 7 different channels could be challenging without any additional help. 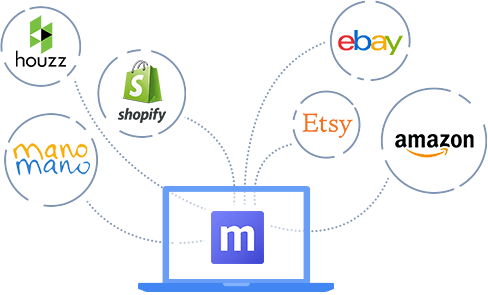 For this reason, Multiorders has integrations with many popular shipping companies, which simplifies your work. As soon as an order is received, simply click on the chosen shipping carrier. All popular shipping companies – DPD, USPS, Royal Mail, Parcelforce, UPS, myHermes and other. Also, including shipping from Amazon FBA. As soon as you choose a shipping carrier, a software will fulfil your order. In other words, the system automatically adds tracking information to each marketplace and additionally informs the customer. Because of integrations, a system is instantly informed when the tracking number is available. That way, wholesaler won’t need to check and update any shipping information. Multiorders automatically creates all necessary tools to fulfill an order – invoice, purchase order and payments. 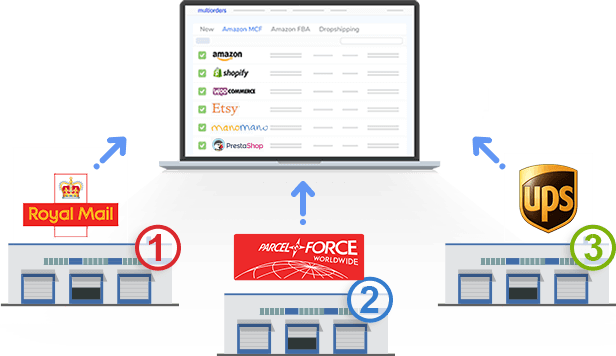 You can connect all your vendors, and we automatically generate all data to your drop-shipper. See all your data in one dashboard. Connect all the most popular online marketplaces 2018 and track your profit. Count your success in each marketplace. All data-flow - sold units, best buyers and other. Therefore, do more with Multiorders! Does Shopify Require UPC Codes?